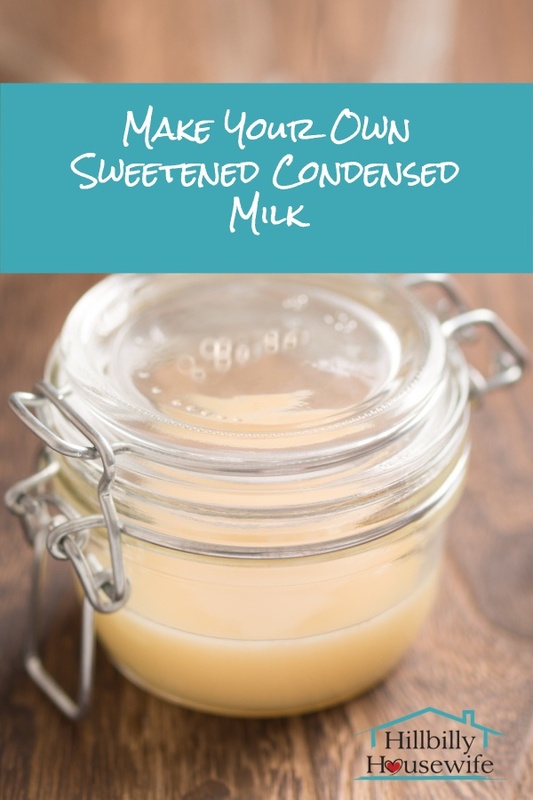 Do you use sweetened condensed milk? I use it here and there for baking and every once in a while I have in my coffee. For years I bought the canned version. Then I figured out how simple it was to make at home. I have to warn you, it takes a little bit of time and a lot of stirring, but it’s well worth it for me and still quicker than running to the store. Best of all, I usually have everything I need to make it in the kitchen. 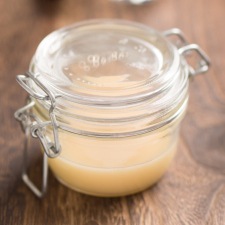 I hope you give this homemade sweetened condensed milk recipe a try. The recipe below makes a little over 1 cup of finished sweetened condensed milk or the equivalent of one store-bought can. I prefer to make it fresh. Not only does it taste better, I have the peace of mind of knowing exactly what’s in there. What’s your favorite recipe to use it in? Share in the comments below. Combine the milk and sugar in a heavy saucepan and heat over medium low heat. Stirring frequently, bring the mixture to a low simmer. Continue to cook the mixture until it reduces by half. This will take about 30 minutes and you should stir it frequently. Turn off the burner and move the pot aside. Add the vanilla and butter, stirring until the butter has melted and is well combined. Allow the mixture to cool completely before storing in an airtight container in the fridge. The sweetened condensed milk can be store in the fridge for a week.